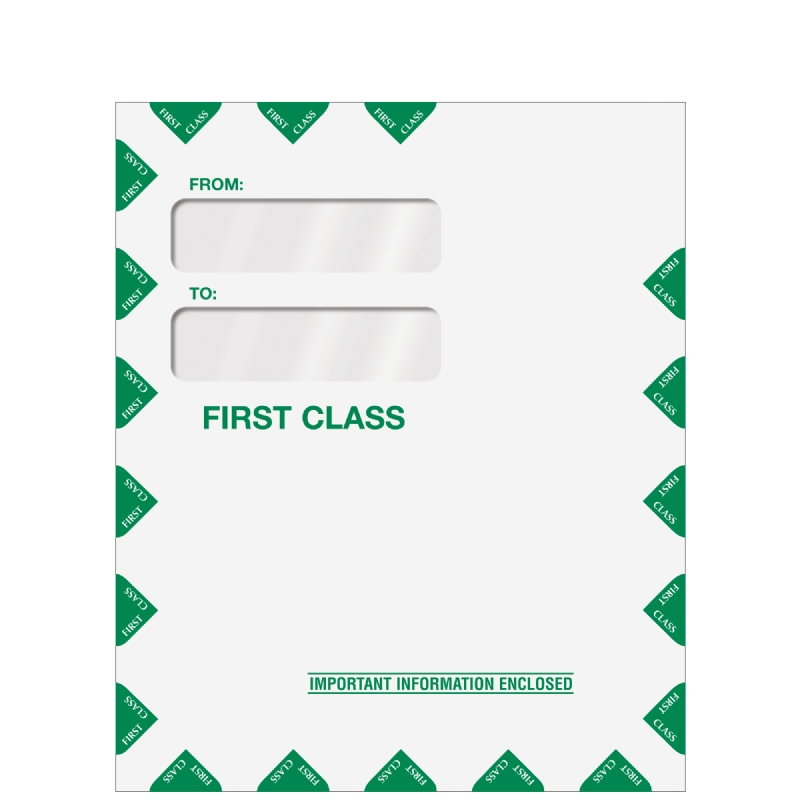 This "First Class Mail" double window portrait style envelope is great for important documents or tax returns. This envelope has a short flap opening with a moisture gummed flap. These envelopes are compatible with Lacerte and Intuit software-produced slipsheets for tax organizers portrait cover sheet or any customized slip sheet to the below window specs.